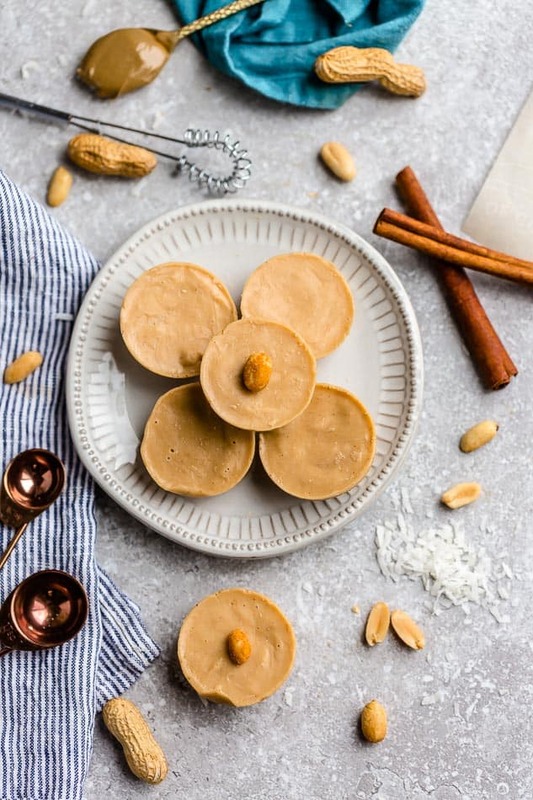 Keto Fat Bombs – 8 Ways – are the perfect healthy and freezer-friendly snacks for on the go. Simple to make in under 10 minutes with dairy free, low carb and paleo friendly ingredients. Are you wondering what a fat bomb is? 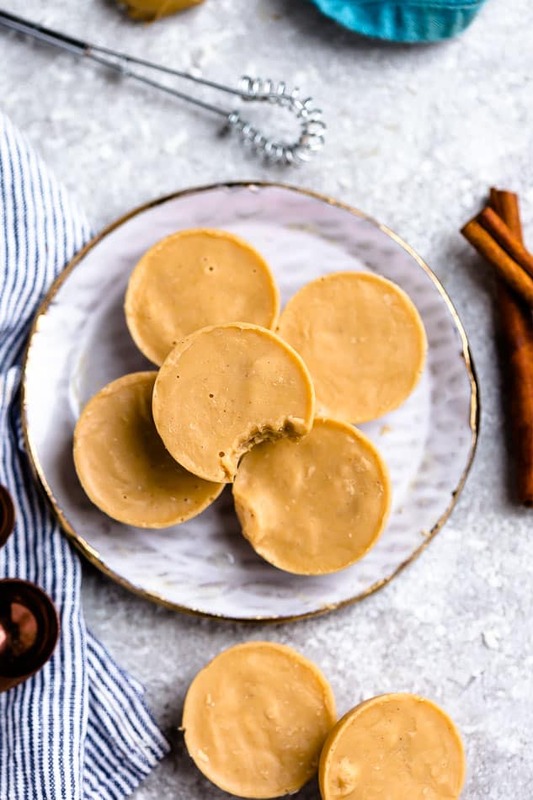 Sugar free fat bombs are one of the easiest keto and low carb friendly snacks to make yourself. 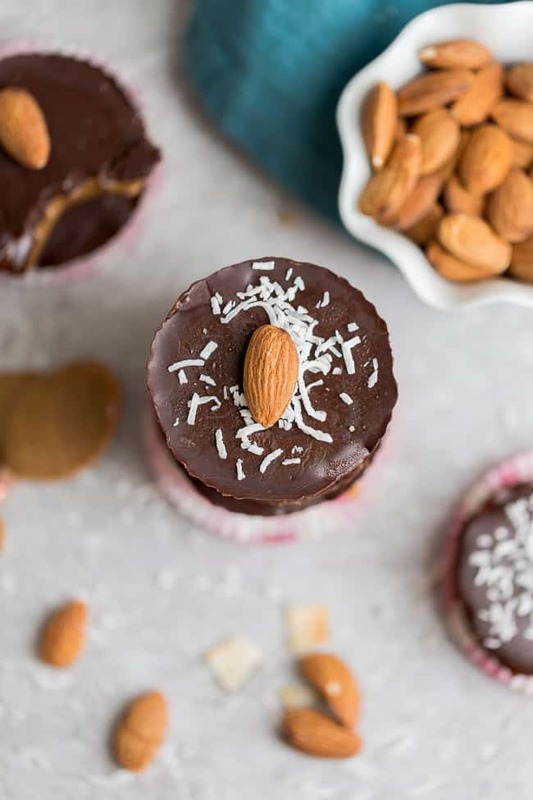 Low carb fat bombs are typically a no bake treat made with a combination of healthy fats, nuts or seeds. These delicious snacks are a great way to increase the healthy fats in your diet, especially if you’re following a ketogenic diet. You can enjoy them in the morning before a workout, or a mid-day snack for extra energy to get you through the afternoon slump when that sweet-tooth hits. Paleo Fat Bombs would also be amazing for days when you’re struggling to get enough fat to meet those macros. Or also on the weekend when you need a sweet pick me up after an extremely rough week. I love how quick they come together with simple ingredients you already have in your pantry or fridge. Depending on your diet and lifestyle goals, you can pretty much customize them with whatever you like. Another great thing about fat bombs is that they make a super yummy portable dessert while also fitting into the keto diet’s macro recommendations — low in carbs, high in fat. CAN YOU MAKE LOW CARB FAT BOMBS AHEAD OF TIME? Yes, absolutely! 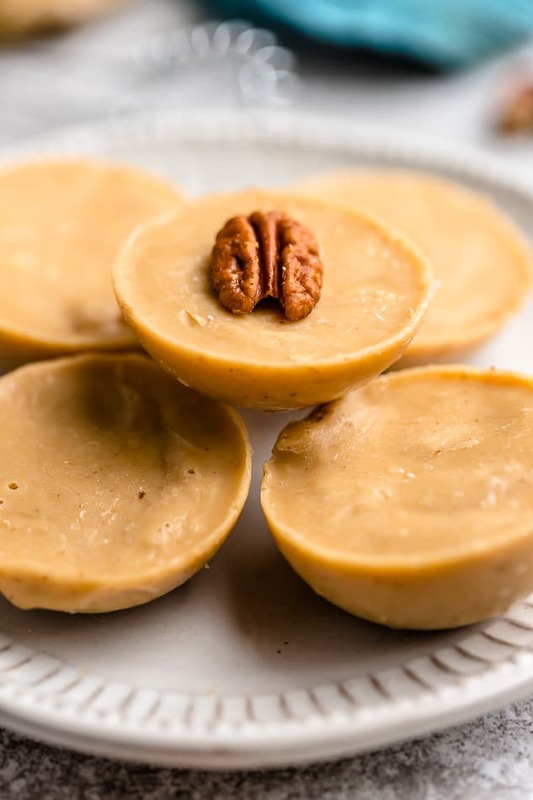 The best part about these no bake fat bombs is that they work perfectly for meal prep. You can make a big batch ahead of time on your meal prep Sunday and store them in the fridge or freezer. 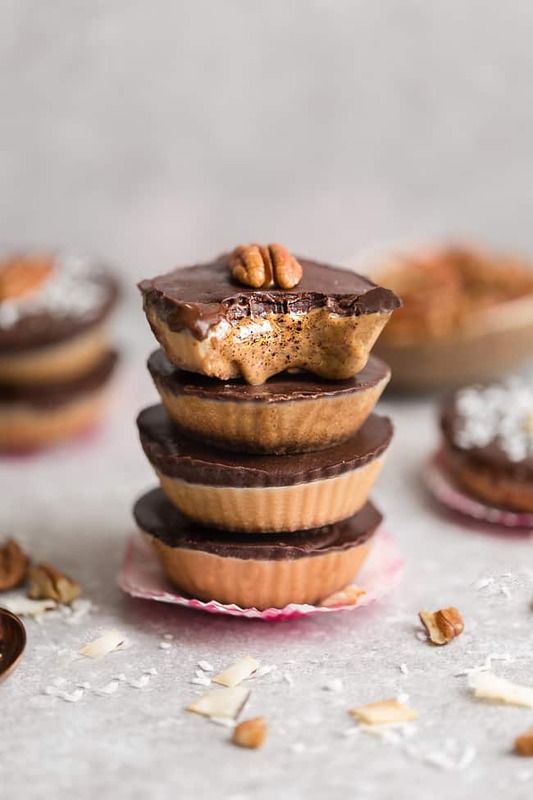 That way, when you’re craving something sweet or feel like you need a quick and healthy snack, you can just grab one of these fat bombs in the freezer throughout the week. WHAT ARE THE BEST FAT BOMBS TO MAKE? There are lots of delicious fat bomb recipes that you can find. It’s always a great idea to use ingredients you like or swap for what works for your lifestyle. For this fat bomb base recipe, we are going to keep the ingredients vegan, paleo, low carb and keto-friendly. Other non vegan / paleo variations include cream cheese, butter, chocolate or freeze-dried fruit. You’re going to start off by melting the coconut oil, coconut butter and cocao butter together either in the microwave or over a double boiler. Stir in your favorite nut or butter. Add any add-ins of your choice. Line a muffin tin with silicone or paper liners then divide mixture evenly into each cup. Serve chilled for a firmer texture. Allow to come to room temperature for a creamier texture. Depending on what ingredients you add, yes, fat bombs can be enjoyed in moderation as part of a healthy diet. eaten in the morning, as a snacks to give you energy during the day or at night as a bedtime snack. I love to meal prep fat bombs on Sundays as a healthy grab-and go snack option to grab through the week. 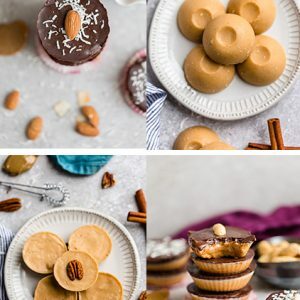 Keto Fat Bombs - 8 Ways - are the perfect healthy and freezer-friendly snacks for on the go. Simple to make in under 10 minutes with dairy free, low carb and paleo friendly ingredients. Heat coconut butter & coconut oil over a double boiler (or microwave) and stir until smooth. Add nut or seed butter of choice. Remove from heat & stir in MCT oil, sweetener (if using) and salt until smooth. Adjust sweetener according to taste. 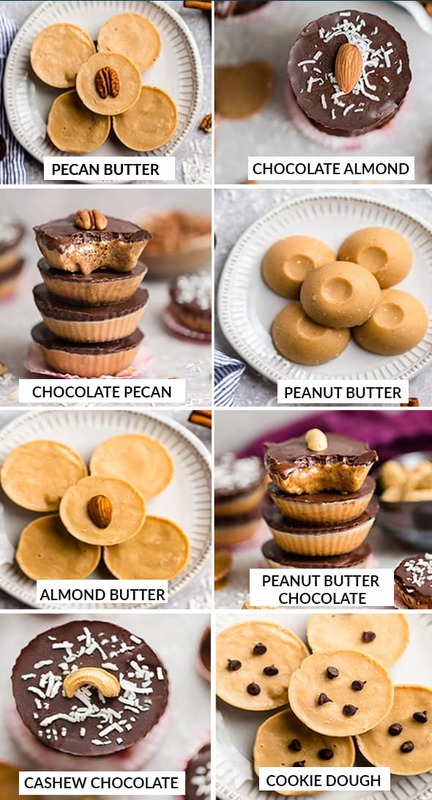 Place 1 whole nut on top of fat bombs before freezing so they stick to the top. Remove muffin pan from freezer and spoon chocolate layer evenly over each nut butter layer - tap pan on counter to smooth out layer. Freeze again for 30 minutes or until firm. Enjoy immediately or store in zip-top bags or airtight container in freezer until ready to enjoy. For a softer texture, remove from freezer and allow to sit at room temperature for 1-2 minutes.